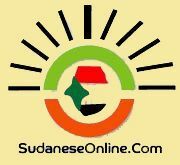 Khartoum, Jan. 27 (SUNA)- The leading figure of the National Reform Party and member of the Freedoms and Fundamental Rights, Tagwa Siddiq Al-Tahir, said that the political parties and armed movements currently participating in national dialogue are making genuine peace for Sudan. She said in a statement to SUNA that the recent talks between the government and the People's Movement in Berlin are considered a successful step. She referred to good news that some rejecting movements would participate in the national dialogue. She said that peace is a basic option for all the participants in the dialogue. Tagwa said that some political parties call for extension of the dialogue period to enable the rejecting parties and movements to take part in the national dialogue.